There is of course great disappointment but also a once in a lifetime opportunity for our Party to secure electoral reform and fairness in our voting system. I hope that Nick Clegg will take that opportunity. Cameron has not ‘sealed the deal’ with the electorate and won their trust. So far as South West Surrey is concerned we must assess where we are and where we go from here, but for the time being a period of reflection is needed. It must also be said that my opponent Jeremy Hunt has proved a popular MP and I pay tribute to him. A tsunami of support for the Tories swept across the South of England and we could not stand up against it. But we must also remember our duty to stand by our Liberal Democrat values. Nearly a third of the voters of South West Surrey voted for us and they deserve nothing less. 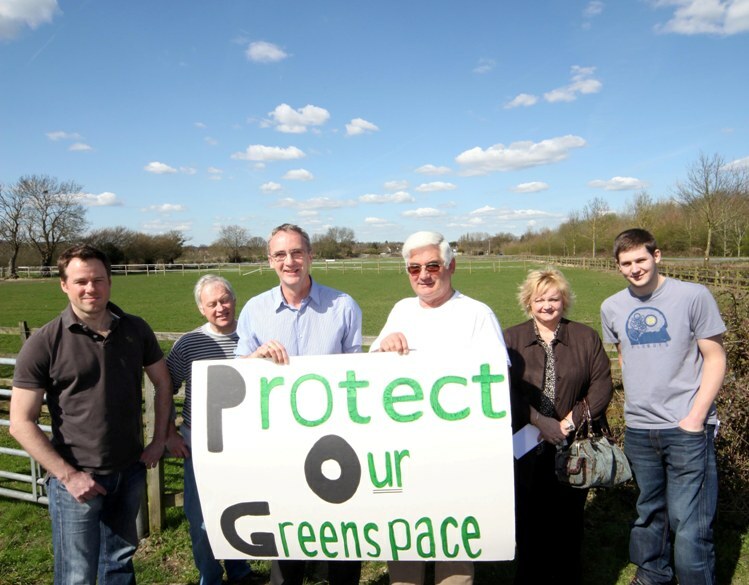 • I have spoken out against the plans for the Key Site development in Godalming and fought for affordable housing on the site. • I have used my position to publicise the plight of Dan Eley, a young man from Godalming who used to work with street children in South America but suffered a broken neck and was left paralyzed, and stuck in Colombia. The Lib Dems put out 14,000 leaflets which publicised Dan’s situation. • I have been outspoken in respect of the affairs of the standing MP Jeremy Hunt. Hunt has suffered the embarrassment of having to repay over £12,500 of his MP’s expenses claims, after I raised questions at a public meeting in May 2009. • I strongly support the Royal British Legion’s Campaign for better care for returning veterans, having worked with army veterans through the YMCA. • I am supporting the Act for Justice group in Haslemere, campaigning against human trafficking. • Seeking to help and empower young people is key to my agenda, as I have worked with them for many years in my role as a CEO of the YMCA. • I strongly support the Lib Dems’ plan to phase out University Tuition fees. It’s too late for my own children, but I don’t want to see generations of young people saddled with huge debts just as they start out in life. This election is not decided. The British people have a real decision to make at the polls and, for the first time in a long time, you have real power to make a change that goes beyond the choice between two bickering parties. Most importantly it is a choice about how to ensure economic recovery that is sustainable. The MPs’ expenses scandal has been a disaster for UK politics. But by exposing those with their snouts in the trough, it empowers the public to make a choice. It creates a wake-up call about the frailty of the present voting system, where MPs believe that have a job for life and that they can ’milk the system’ and get away with it. I have always argued that we need to go further than reforming MPs’ expenses; we need to elect MPs totally committed to wholesale reform. Your Liberal Democrat candidate Mike Simpson will be a strong voice in Parliament. He is a man committed to challenging the political establishment and he has all the right credentials for such a role. The opinion polls suggest that people are rightly unhappy with the Labour Government yet have no real confidence in George Osborne and the Tories. The choice presented to the electorate is to lurch from incompetence to inexperience. I think you deserve more. To get the economy back on track requires the best minds, working effectively together. It requires fair taxes and common sense that you can trust. The Liberal Democrat Party is committed to sound economics. Our priority is to secure the long term financial viability and vitality of the economy. Do not let anyone try to persuade you that a balanced parliament will be detrimental to our country. Far from it. A parliament balanced with a strong, Liberal Democratic presence will result in a House of Commons composed of true representatives of the electorate and sound, sensible policies brought about by discussions and consensus and not by political dogma. Vote for your Liberal Democrat candidate Mike Simpson, and help create a government capable of rebuilding our economy and our political system. The opinion polls in tomorrow’s papers (Sun and Guardian) show that Cameron has failed to win the trust of the British electorate. The Conservative party are supposed to be the main opposition to Labour and yet even with the banking crisis, the MPs’ expenses scandal and the spiralling government debt, the Tories have failed to close the deal with the electorate. 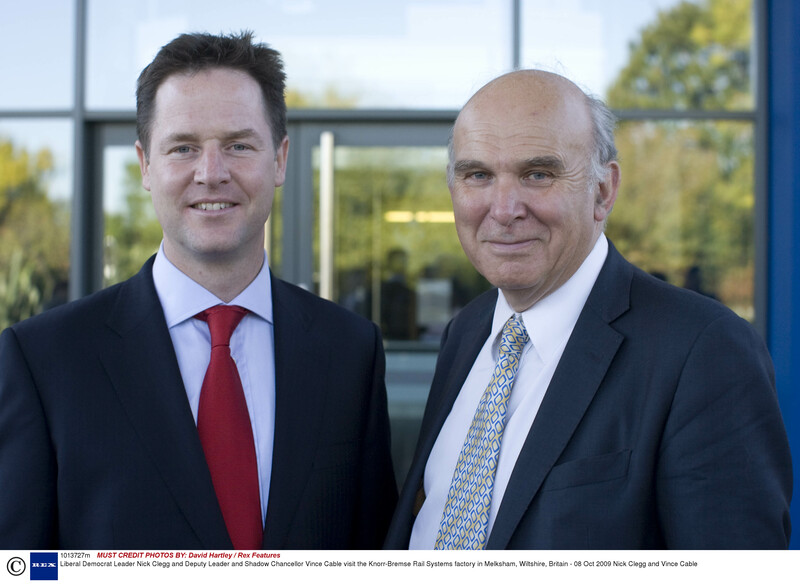 Nick Clegg and the Lib Dems have proved to be credible, likeable and respected. Let’s hope that the voters will not have last minute nerves about putting their x where their heart lies. YouGov poll for the Sun: CON 34%(-1) LAB 28% (+1) LDEM 29% (+1). No significant change from yesterday. ICM poll in the Guardian: CON 33%(-3), LAB 28%(-1), LDEM 28%(+1). Vince Cable, the Liberal Democrat finance spokesman warned this week that Britain risks sliding into a Greek-style fiscal crisis unless the next government takes drastic action to cut borrowing. Taxes must rise sharply over the next decade to bring down borrowing, according to the National Institute of Economic and Social Research. They suggest that taxes will have to rise by the equivalent of a 6p in the pound on income tax! They also said the UK economy faces sluggish growth and rising unemployment this year. Who would want to take the economic reins of power in such a scenario? I ask another question – ‘In such dire circumstances who will be best suited to reduce the government debt, oversee a much needed restructuring of the banking sector, whilst protecting the vulnerable from cuts in vital government services?’ It will not surprise you that my answer this question is Vince Cable, Nick Clegg and the Liberal Democrats. We cannot afford to take a leap in the dark with Osborne and Cameron. Many people are fearful of the mass job losses and VAT increases likely to follow a Conservative win. Cuts and tax increases will be needed but who will bear the brunt of these? Vince says, “The public will accept austerity for a time if the burdens are fairly shared”. Vince Cable and the Lib Dems are determined to make our tax system fairer and we would raise the tax threshold so that nobody earning less than £10,000 would pay any income tax. This would be paid for by a tax on mansions worth over £2million, closing tax loopholes and making airlines pay for the pollution they cause. Raising the tax threshold will benefit the average tax payer by £700 per year, but it will also have the added benefit of greatly increasing the incentive to work rather than languish on benefits. Our manifesto sets out a carefully costed plan of cuts and spending commitments that would result in a £10billion cut in the deficit. Much more needs to be done and that will include hard choices about benefits and public sector pensions for example. Nick Clegg proposes a ‘Council on Financial Stability’, involving representatives of all parties, the Governor of the Bank of England and the Chair of the Financial Services Authority. We face the kind of dire circumstances that require all Parties to work together if we are to avoid major social division when cuts and tax rises are implemented. A strong Liberal Democrat presence in Parliament will ensure a wise, prudent and compassionate approach to the crisis we face. I have been struck by how many local small business people are outraged by the foolish and illiberal digital economy act which Labour rushed through Parliament with support from my opponent Jermey Hunt. I wrote an open letter to Mr Hunt on 5th April about this. On 11th April I called for the Digital Economy Act to be repealed. I recently visited the Wey Centre in Haslemere where I met a group of young people following concerns about the lack of facilities they have available to them. I listened to Sharon Mitchell and a group of young people who have formed a charity, ‘Stars in the Helping’. It was set up last year to provide help for children in Kenya. They have been sending children clothes and have also paid for food to be provided in Kenya. They visited villages in the area last August, working in orphanages. As a result they are going to help rebuild a school next year. Sharon said “It was great for Mike to come and see the efforts of some of the local children in Haslemere. It is important that we increase the profile of the charity so that we can increase our membership, helping young people get motivated”. I have a lot of experience in working with young people having been employed by the YMCA for over twenty years, currently as a Chief Executive Officer. I have worked with hundreds of disadvantaged young people including those with drug and alcohol problems, homeless young people and pupils at risk of exclusion from school. I have become increasingly concerned with the inadequate facilities that there are for young people. Young people are sometimes targets for criticism. The lack of appropriate facilities for them can lead to problems with members of the public in open space areas. The Wey Centre is a much needed facility that deserves sustainable funding and quality youth work provision by Surrey County Council. I was very inspired to hear about the young people who are involved in Stars in the Helping and the impact they are having on the lives of those less fortunate than themselves.